Dodd-Frank turns 5, throws a tantrum. 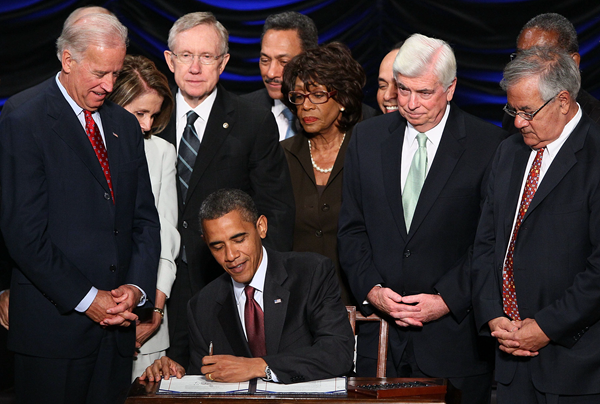 Some of you may know that the Dodd-Frank legislation, enacted in 2010, turned five years old just yesterday. The legislation didn’t throw a tantrum, but the financial industry has been throwing one for most of the last five years. Back in December of 2014, as part of the contentious battle to get a federal budget passed, the financial industry successfully lobbied to get rid of a provision requiring them to “push out” derivatives trading. The Federal Trade Commission hasn’t even finished writing up the rules that are to accompany Dodd-Frank. I’m no banking expert and I don’t know if some of the rules are onerous or not. A lot of rule-making is complicated and dense and not all of it makes sense. But I don’t trust the financial industry at all. I believe that they’ve been looking to bend the rules from the moment the legislation was signed. I understand that a lot of financial industry types genuinely don’t understand why so many of us despise their industry. And with Congress being bought and sold like cheesy items at a flea market, it’s not like our trust is going to be enhanced anytime soon.